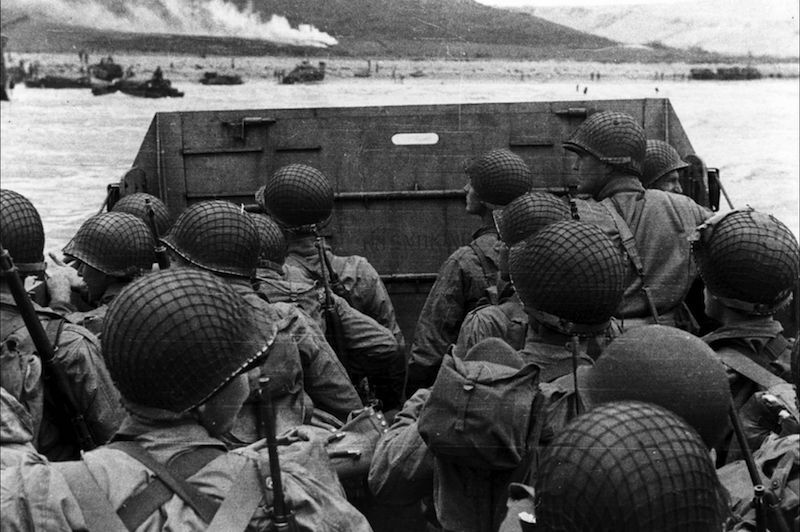 These haunting images commemorate 72 years since D-Day, when 156,000 Allied forces made their daring attempt to invade and defeat Germany on June 6, 1942. Here are images and facts from that historic day and the invasion code named Operations Overlord and Neptune. 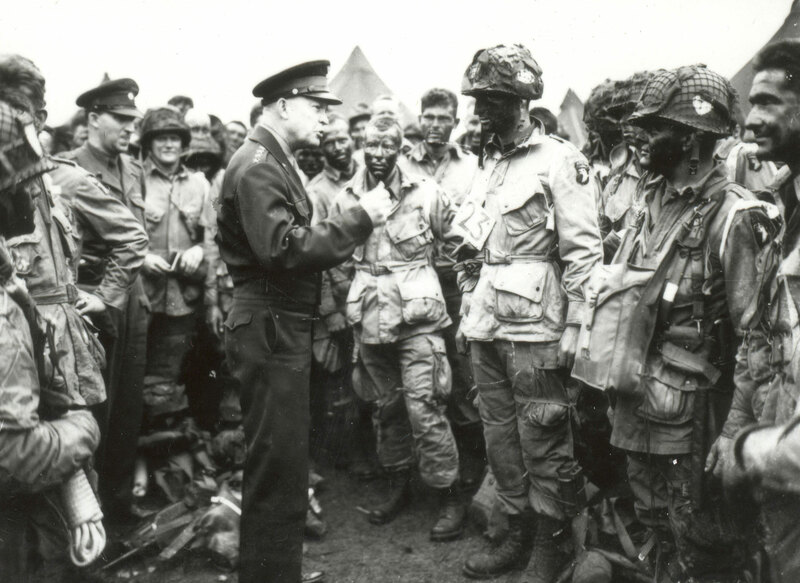 General Dwight D. Eisenhower, Supreme Commander of the Allied Expeditionary Force, speaks with Lieutenant Wallace C. Strobel, a paratrooper in the 101st Airborne Division, at Greenham Common airfield on the evening of June 5, 1944. Shortly after General Eisenhower’s visit, the men of the 101st boarded C-47 troop transports and departed for Normandy.